“Some car models, at least newer GM products, will unlock the doors when you stop and put the car into park… For the second time in a few months, I have a rental car as a result of flying to an event. To make things worse, much as I like this Impala, there is no owner’s manual with it, so I can’t tell if there is a way to unscrew that. It is utterly unsafe and too stupid for words. I, of course, habitually disable the inside lights and chimes (to which I refer as “shoot me” lights and chimes) in my own cars. If that can’t be done, I will not buy the car. I have done some research on this and found out that quite a few of the newer cars have this feature. On many cars when you put it into park, all four doors unlock. This can make you vulnerable to an attacker. I found one instance in which it resulted in a death. 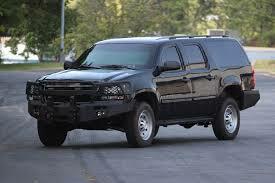 In 2012 a US government agent was killed in Mexico while driving a $120,000 armored Chevy Suburban. At the time, they were forced off the road by members of a drug cartel and when they put the car in park, the doors unlocked automatically. There are ways in many different models that you can change the settings to eliminate the problem. But be aware that if the computer is reset, by battery failure or replacement, the computer will revert to the default setting, leaving the car vulnerable again. If you own or have to rent a car that has this serious safety issue, you can get around it by putting the transmission in neutral and using handbrake. I am in total agreement with Ed on the fact that you should be able to disarm the shoot me lights. This entry was posted in security, vehicles. Bookmark the permalink. This can make you venerable to an attacker. I think you mean vulnerable? I do agree that all the doors should not unlock. As a woman, I have to ask though, have you never used the ‘shoot me’ light to be certain that no one gained entry to your vehicle unbeknown to you? Thank you I corrected the spelling error. I don’t use the interior lights to check the car interior, because doung do may silhouette you if anyone in the car has an armed accomplice nearby. I use my hand held tactical flashlight, a Surefire P90, only after I have checked that the surrounding area was clear and that it is safe to approach my vehicle. Doing so routinely has several times prevented attempted car jackings and muggings. And yes, for those who would ask, I have a permit to carry, am routinely armed, and carry pepper spray and a cell phone with 911 on speed dial, in addition to the flashlight. Two robbery attempts were in well lighted shopping center parking lots. Be vigilant always!